Horses carrying this brand in North America originated in East Prussia in 1732 making the Trakehner the world’s oldest warmblood horse breed. It is older than the English Thoroughbred General Stud Book. The breed has been known for centuries as the world’s finest cavalry horse taking part in the Battle of Waterloo. The Duke of Wellington’s English army along with East Prussia’s Field Marshall Von Bleucher’s army defeated Napoleon in 1815 and helped put the world on a new course of peace in Europe. As late as 1939, over 60,000 mares were covered in East Prussia by Trakehner stallions and the total inventory was estimated at over 250,000 head. The breed infused great amounts of Thoroughbred genetics as well as Arabians to create a noble, attractive, versatile and performance oriented riding horse. Modern day horse auctions originated in East Prussia with Trakehner sales conducted at the main stud Trakehnen. The concept of performance testing stallions for riding qualities also originated in East Prussia’s Trakehnen. Prior to World War II, Trakehner horses were highly successful in the Olympic Games and dominated many sport horse competitions. Trakehners won the gold and silver medals in dressage in the 1924 Olympic Games. In the 1928 Olympics, a Trakehner won the bronze medal in the three-day event. And, in 1936, Kronos, won the gold medal in dressage, while Absinth won the silver. The gold medal in the three-day event went to Nurmi. Trakehner horses won Czechoslovakia's notoriously challenging Pardubice steeplechase nine times prior to the war. The war years were not kind to the Trakehner horse. The breed population was reduced by half in the First World War and in October 1944 during the 2nd World War, the breed was dealt nearly a fatal blow. The famous Trek began as refugees and their Trakehner horses began a 600 mile journey to the west over drifted snow and frozen roads, frozen rivers and bays while constantly being strafed by the Russian air force. 600,000 East Prussians died. From a Trakehner breeding population of about 80,000 head only about 1%....800 horses limped into West Germany and from those only about 100 pitiful skeletons survived. 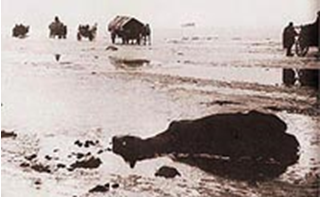 What horses the Russian army did not consume for food either perished or starved. A few were confiscated and taken behind the former Iron Curtain to create very small breeding populations in Russia, Poland and Lithuania. After the war, the breed began to rebuild in West Germany with the first Trakehner breeding stock imported to Canada in 1957. The American Trakehner Association was formed in 1974 and the American Trakehner Foundation created in 2009 with jurisdiction for all of North America. Since the war, The Trakehner has been routinely used as a "refiner" of other breeds, allowing an infusion of Thoroughbred and Arabian blood. Influential stallions include Abglanz for the Hanoverian, Herbststurm who influenced the Oldenburg, Marco Polo for the Dutch Warmblood, the stallion Ibikus for the Danish Warmblood, and Polarstern for the Swedish Warmblood. Although nearly exterminated, the breed is in the process of recovering as demonstrated by more Trakehners in international competition. 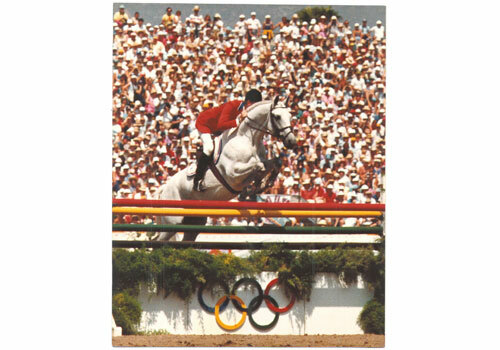 Since 1984 medals in the Olympic Games have gone to the Trakehners including Abdullah, Peron, Windfall all based in North America. International riders have rediscovered the breed including Olympic gold medalist Anky van Grunsven with Partout, the late Reiner Klimke and Biotop, Elmar Gundel on Almox Prints and Edward Gal on the late Gribaldi and the Gribaldi son Moorland’s Totilas, the current world record holder in Grand Prix dressage with over a 90% score. But the recent success may not be enough to preserve this noble breed. We need your help to fund education and support young riders who cannot afford to compete as much as they wish given worldwide economic conditions. Here is your chance to contribute and help. Please contribute.. We appreciate your support. Long live the Trakehner Horse!